I was able to interview a few people about rapid prototyping and the PCB industry for research for my article on perfect prototypes. I spoke with CAD/EDA Manager Nolan Johnson, Marketing Media Manager Molly O'Hara and Quality Assurance Manager Matt Stevenson. Wong: How has the PCB industry changed over the years? Johnson: We can’t talk about changes in the PCB industry without talking about the Internet, or electronic communications in general. The amount of information available to a designer (parts, methodologies, specs, etc) has grown phenomenally. Even more than in IC design, PCB design – with its roots in parts packaging and interconnect – is benefiting from the internet age and the information available. Remember having to thumb through catalogs? And hand-building each footprint for each new part to be added to the library? We are clearly in a time of transition; eventually, parts manufacturers will supply the footprint definitions just like they supply datasheets today. Second, the ability to quote and order on-line removes a step from years gone by, having to call a sales person. This has improved the access available to buyers and purchasers. And, for better or for worse, the effect of the internet age is a key reason we went through the off-shoring period of the early 2000s. Prior to full-scale electronic transfer of design and manufacturing data, off-shoring to such a scale would be much more difficult. On the design side, PCB design has increasingly become a multi-disciplinary activity. 10-15 years ago, most design teams working with PCB boards had a PCB expert on staff to handle the details of PCB layout, design, and support. Nowadays, it is much more common to find that the mechanical engineer is being asked to also lay out the PCB for the team. Or the EE is doing double-duty as the layout expert. There is a definite trend to expect experts in other disciplines on the design team to develop the PCB as well. On the manufacturing side, prototype turn-times have gotten faster in the US. Off-shoring production work meant that US based companies were faced with an increasingly larger portion of their work in the shorter-volume, quicker turn-time space of the prototypers. It stands to reason: overseas production is fine for work that can be scheduled months in advance and can factor in the transit times. But prototype work just doesn’t fit that model. Not in quantities, not in turn-times, and not in transit times. Though there are currently signs that US companies are re-shoring production work, the decade-long trend toward off-shoring PCB production has meant that design teams suffered a “brain drain” with respect to intimately understanding the impacts their design decisions would have on manufacturing. Without a local manufacturer, and without a PCB expert on staff, many companies are starting to realize that they don’t really know what goes in to making their PCBs manufacturable; that the critical information for getting their boards to pass QA is in the hands of their contract manufacturer, not in the heads of their design teams. Finally, the ability for a designer to assemble their own proto PCBs is also slowly fading as new ICs are released in surface mount packages, without a DIP or through-hole option. These packaging changes are forcing an increasing number of customers to either invest in suitable pick-and-place machinery for prototyping work (expensive), or use a suitable prototype assembly specialist. The “internet age” has reformed the way in which designers handle the manufacturing-chain once the design is complete. By far and away, the biggest change in recent years has been the “brain drain” that has accompanied the off-shoring trend. With all of these products and services, and with 40 years of serving customers, we continue to maintain our position as the prototype PCB industry leader. Wong: How has the RoHS initiative affected your customers and have they all adapted to the changes at this point? Stevenson: The RoHS initiative has been an interesting transition. Some customers were right on it and driving the change, while others to this day, have little to no awareness of this initiative. 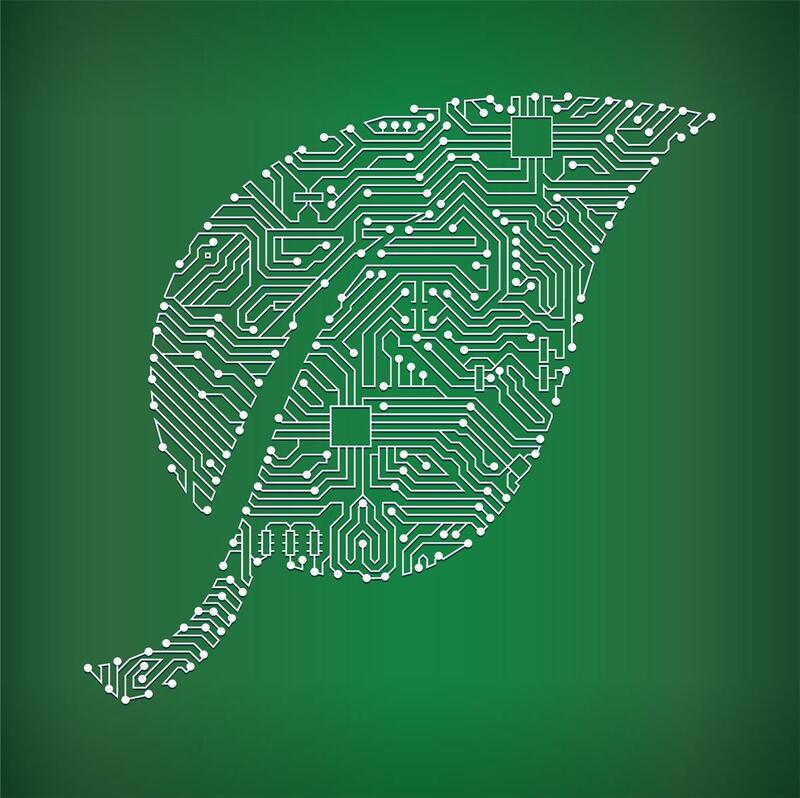 It appears that the customers that require product that is compliant with the RoHS initiative have made the transition both from an upfront purchasing standpoint as well as a technology standpoint. Other customers will simply order a RoHS compliant product because it sounds like a responsible thing to do, without knowing exactly what they are getting into. To be “green” in this day is a strong motivator for many manufacturers. We have had the unique experience of supplying many customers their first RoHS compliant products. The reaction to receiving their first order, with immersion silver can vary. Some customers remark, “I really like the look of the product and just how planar the pads are, it makes my hand assembly of SMT parts much smoother.” Other customers may have mistaken the immersion silver on the solderable surfaces for silk screen covering the pads. They are generally surprised to find that it does solder. As the knowledge base and experience with these lead free products continues to rise so will the success and adoption of these products. Professional engineers, who ran into problems with the enterprise solution provided by their employers. More than once we've heard from customers who risked missing a deadline and losing their job by following company policy on design flows. Instead, they went just a bit renegade, got the job done, made the product deadline, and furthered their career instead of ending it. Professional engineers, comfortable with high-end tools, who want to do a personal project on their own time. Freed from the burden of a mult-thousand-dollar software license, many pro designers are doing DIY projects that otherwise would have languished. Startups and mechatronics type teams are turning to tools like PCB123. For startups and other teams for which PCB design is a part-time occasional activity, the pay-as-you-complete model for PCB123 just makes sense. Sure the board may be a bit more expensive, but these teams can design for years before the added cost even begins to approach the cost of the original software license under the old model. For these teams, pay-as-you-design turned the PCB design around from being a huge drain of resources to being a rich area of experimentation and creativity. We can accept GERBER files as generated from any tool. We accept the native design files from EAGLE, Altium, OrCAD, and National Instruments Circuit Design Suite. We then create the manufacturing images for customers directly from these files. Wong: What functionality does PCB123 provide? Johnson: PCB123 is a full-function PCB CAD tool, comprised of a schematic editor, a physical layout editor, 3-dimensional mechanical previews, and a BOM editor. PCB123 uses a single database, and object-oriented programming concepts to deliver all four unique views of the same design data. PCB123 is a free-distribution tool. As the user places components on the schematic, the corresponding footprint is placed on the layout, ready for auto-place and auto-route. Schematic connectivity is pre-routed in traditional rats' nest notation. As the user places and routes the physical layout, real-time design rule checking provides feedback that keeps the layout manufacturable and electrically sound. PCB123 also provides about 700,000 parts in its free-to-use parts library, making it the most extensive standard-issue parts library for any PCB design tool, regardless of distribution model. Wong: How would a customer ramp up production? Stevenson: The most successful production ramps occur when there is a working relationship between the end user & the board manufacturing house, and the assembly service can be developed and maintained throughout the process. At the prototype stage of the process, a good relationship between the manufacturers / assemblers can garner little changes that can increase the yield and the reliability of the product as it moves through the cycle. Continuing this relationship through Pre-production can further shake out improvements to the process as the volume increases. At this point, it is hoped, that a robust process has been developed for manufacture and assembly of the design. Under ideal conditions, the relationship could continue through the production volume stage of the cycle. Based on strengths and limitations of various suppliers, it may be difficult to stay with one set of partners through the entire process, but having these relationships and upfront communication throughout the process can lead to efficient and effective ramps in production. Wong: What does Design For Manufacturing (DFM) mean to prototypers? Hence, a "DFM" check at a manufacturer is really just checking the design for compliance to the manufacturing guidelines. In other words, it's a Design Rules check. Or DRC. At the very best, you can call it CFM - Check For Manufacturability. Wong: When is it DFM? Johnson: That DFM thing is tricky - it encompasses the inclusion of ANYTHING that could impact yields during production. That means basic trace/space on the board, but it could also mean the style and placement of layer fiducials, or poorly designed testpoints that will cause false fails in final test because the probe misses the mark, or a board outline that suffers from excessive chipping or burring during route. These are the sorts of things that a 'Free DFM' tool does NOT check for. Wong: What does DFM Mean to Prototypers? Johnson: That does depend a bit upon the sophistication of the prototype and the work being done. If the project under way is a proof of concept, or a board not intended for production, then DFM generally means Design Rules, Electrical Rules, and possibly some footprint verification. But if the project is a pre-release version of a production board, then DFM can easily mean mechanical issues, thermal issues, assembly & component placement issues, and Bill of Materials issues. Wong: What are the challenges for multilayer board designs? Johnson: When we talk strictly prototyping, multilayer boards also present an opportunity. We’ve noticed a trend for some design teams to execute their first prototypes in multilayer, and then optimize the final boards to double-sided for production. The motivation for this design style is relatively straight-forward: by adding a couple extra layers, the CAD tool autorouter can do a majority of the routing work. In the early proof-of-concept designs, autorouting to a multi-layer can help reduce the design time from days to hours. The reclaimed design time more than pays for the slight extra cost of the multilayer board. Especially when the purpose of the board is only to prove out an idea. Later work to redesign to a single piece of substrate can then proceed with the confidence that the circuit’s functionality has already been proven. Multilayer circuit boards come with a variety of challenges that are really specific to the designs in question. From a design standpoint there are the challenges associated with matching the material properties (mechanical and electrical) to meet the design needs. Determining the dielectric spacing and the material properties so that a signal will propagate as designed, with the appropriate speed and signal integrity. This need gets magnified as the layer count increases. In addition to the design related challenges, the layout portion also comes into play. As the real estate on the board gets smaller, the traces and spaces get finer and by utilizing multiple layers to minimize some of the trace breakout of a dense component, layout personnel have equally increasing dimensions to design in. From a manufacturing standpoint, trying to match the designers need with the physical manufacturing can at times be a challenge. Virtual designs cannot always be translated into a physical circuit board without many modifications and discussions between the design engineer and the manufacturing engineers. Registration between the layers is one of the most challenging aspects of multilayer manufacturing. Every step in the imaging and etching process has a tolerance associated with registration, material movement of the layers after etching and during the lamination cycles, make this quite a challenge. Again as the designs get tighter, using smaller and smaller drilled holes and more layers, small changes in registration of the layers to each other, the drill location or the external images can have dramatic effects. Some of these can be accounted for up front, but every design will behave differently, every lot of material will behave differently, and even the weather can also change the expectations. Wong: Are all PCBs designed/created equal? Johnson: Some people claim that a PCB is a PCB is a PCB. But that's like saying any tire that fits your car is suitable. The purpose of the PCB is to provide a surface for the individual components that make up the surface, and to allow for metal traces that connect the leads of all the components. In many cases, if it's a net node on a schematic, it becomes a region of metal on the PCB. Just as different tires have different speed ratings, or are able to function under certain extremes (weather, temperature, snow, etc.) so too do the PCB substrates have different performance characteristics. If your driving habits require a lot of snowy weather driving, you might get by with a general purpose tire, but appreciate the extra capabilities of a snow tire. The same is true with PCBs. If your application needs are generally mainstream and not extreme, then the performance of your PCB substrate may not be important to you. But if you need to handle some higher performance characteristics, then specialized substrates just make it that much easier for you and your design to reach full functionality. In the prototyping space, some of the boards will end up as the production unit. But just as often, we’re building one-time projects: proofs of concept, experiments, non-production boards, test jigs, and projects like that.